The Law Offices of Nikki Siesel PLLC is a boutique law firm based in New York offering legal services in the area of intellectual property, including trademark law, copyright registration, domain name disputes, and related business and contractual matters. We represent corporate clients of all sizes, as well as individual entrepreneurs, designers, product developers, and Internet start-ups who operate in entertainment (video, music, TV), fashion and accessories, solar energy, health and fitness, restaurants and other fields of business. Organizations of all dimensions need to protect their intellectual property, but since they do not have unlimited budgets to do so, the trademark attorneys at our New York firm provide strategic business solutions at affordable fees. We emphasize personal attention. This allows us to provide you with quality legal advice, specialized counsel, and committed and effective service. 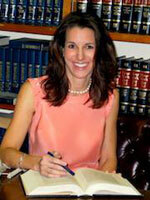 At the Law Offices of Nikki Siesel PLLC, we have over 20 years of experience. We work with foreign associates around the globe to assist you with your trademark matters. The firm cares about each client and will take the time to learn about the business of each client. This information enables the firm to provide superb counsel and to develop long-term relationships that will endure over time. The Law Offices of Nikki Siesel PLLC have clients that have been working with Nikki Siesel for over a decade. A courtesy preliminary consultation will allow us to learn about your business, and your intellectual property needs. We can determine what types of intellectual property protection may benefit your business. We will provide an overview of the process or the transaction, and discuss your budget relative to the costs of acquiring certain intellectual property protection. Our trademark services include conducting courtesy preliminary searches and courtesy consultations. Once we can clear the mark on the preliminary level, we will recommend conducting a full search. If the proposed trademark clears after conducting a full search then, the next step is filing a trademark application at the United States Patent & Trademark Office (USPTO). Our New York trademark lawyers will prosecute the application on your behalf. Once the certificate of registration issues, we will provide you with instructions for maintaining your trademark rights and for filing mandatory post registration documents with the USPTO. We can assist our clients with litigation matters at the Trademark Trial and Appeal Board or in federal court. Also, we can file trademark assignments at the USPTO, send Cease and Desist letters on behalf of trademark owners, or prepare Trademark Licensing Agreements. Some clients will benefit from both trademark and copyright registration. Once original work or material is created, copyright ownership will vest under common law, but registration is a critical step in the process. Should there be copyright infringement, a copyright owner must have a copyright registration issued by the United States Copyright Office to access the courts and receive damages. Therefore, filing a copyright application is critical to enforcing your rights as a copyright owner in the future. Domain name disputes may arise when a third party registers your trademark in their domain name or incorporates a confusingly similar term in their domain name. This can create a likelihood of confusion between the domain name and the trademark. This is problematic when the third party maintains the domain and uses it to attract Internet users to competitive websites, or attempts to sell the domain to the trademark owner at an inflated price. It may be necessary to file a complaint pursuant to the Uniform Domain Name Dispute Resolution Policy (UDRP), so that the domain can be transferred to the trademark owner or to cancel the domain registration. We represent corporations and companies of all sizes. We will work with your organization to tailor our services to accommodate both your company's legal needs and your company's budget. We also work with of counsel attorneys who will provide guidance on the patentability requirements for inventions. Whether you are part of a small start-up or a larger corporation, we are committed to spending the time necessary to understand your business, so we can properly and fully protect your intellectual property. Call 914-949-9550 to schedule a free consultation with a New York trademark attorney via teleconference. We offer flat rates and hourly fee structures. Every client will receive personalized professional attention as if he or she is our only client. Every question will be promptly replied to with pensive deliberation. Every transaction will receive our undivided attention and unwavering dedication. Our practice offers experienced and committed professionals to assist you in applying for a trademark and protecting your Mark. We counsel on the selection of a strong and unique Mark and oversee clearance searches. We render opinion letters or verbal opinions once a full clearance search has been conducted. We apply to the United States Patent and Trademark Office for registration. We communicate with the United States Patent and Trademark Office as your representative, respond to office actions, file briefs, and handle all proceedings before the Trademark Trial and Appeals Board (if needed). Once the registration is issued, we will file the necessary post registration documents for maintenance purposes. In addition to filing U.S. trademark applications, we file trademark applications in foreign countries throughout the world. We counsel clients on protection, enforcement, policing, cease and desist scenarios, assignments, and licensing matters pertaining to their trademark. We conduct trademark portfolio evaluations. If a dispute arises, our first strategy is always to strive for early dispute resolution and to avoid litigation. When necessary, we represent you in infringement litigation in state or federal court. We advise and assist in other intellectual property matters including copyright registration and domain name disputes. Send us an email or call our office at 914-949-9550 to schedule a courtesy consultation with a trademark lawyer at our New York firm. We work with individuals and corporations throughout a variety of areas, including Westchester County, Manhattan, New York, New Jersey, Connecticut, across the nation and internationally. Nikki's commitment to clients is unparalleled with her devotion and attention to detail in every assignment and aspect of intellectual property law. Nikki Siesel is the most profound trademark lawyer I have worked with and she has thoroughly empowered me with her knowledge.